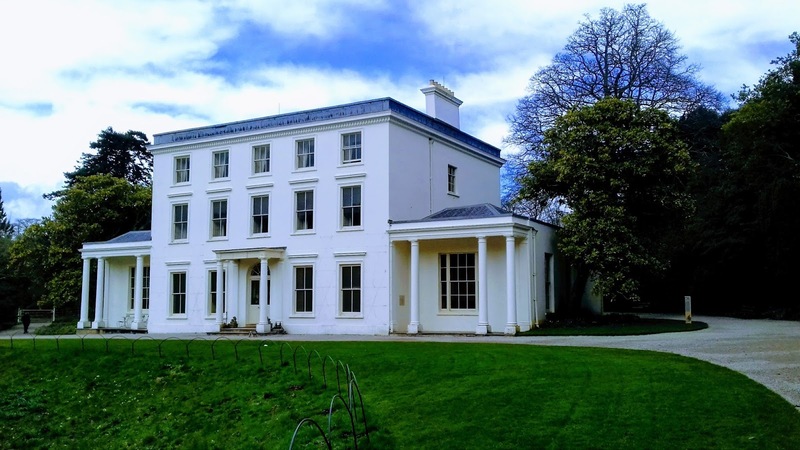 Two weeks ago, five writers - Rosie Canning, Ingrid Jendrzejewski, Nicole Fitton, Jane Lomas and Michelle Cunnah - travelled from various parts of the country towards the National Trust property, Greenway, near Brixham for a writing retreat organised by GW. On the way down there was serious flooding, trains were cancelled and had to go through Tiverton very very slowly putting an extra hour on the journey for those travelling from Paddington. 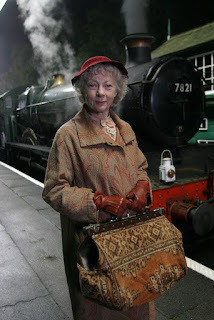 Rosie Canning about to board the 4.50 from Paddington. The writers had to leave a few hours earlier than planned due to the snow which turned into a blizzard quickly rendering parts of Devon impassable. There were road accidents, abandoned cars and closed roads. Getting home was an all day into early evening affair but they all agreed, it was so worth it. This impressive Georgian house was built in about 1792, but the Apartment is decorated as it was when the house was refurbished for modern living in 1938. Greenway was the holiday home of author Agatha Christie and her family. This atmospheric house is set in the 1950s, indeed when you walk in through the doorway, it’s as if Agatha and her family have just popped out for a walk and will be back at any moment. The family were great collectors, and the house is filled with archaeology, Tunbridgeware, silver, botanical china and books. In the garden a large and romantic woodland drifts down the hillside towards the sparkling Dart estuary. The walled gardens are home to a restored peach house and vinery, as well as an allotment cared for by local school children. 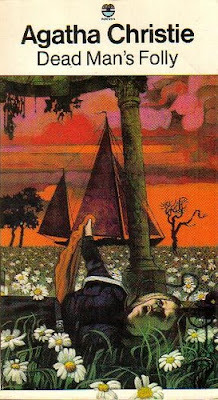 The book most clearly influenced by Greenway was Dead Man's Folly (1956). In this story Greenway house, garden, Boathouse and local area are all described and in 2013, ITV filmed their adaptation of Dead Man's Folly here. The house overlooks the river Dart and is set in a spectacular part of Devon. The apartment in 'the' house has four double bedrooms and the writers used these as their writing areas (apart from Ingrid who preferred the extremely large bathroom) - though there is a kitchen/dining room, sitting room and private garden and these were available too. The five writers stayed in the beautiful apartment located on the first and second floor, here two of them, Jane and Nicole tell us whether they achieved what they set out to do. I enjoy writing flash fiction and short stories and have been published in Microcosms Fiction, Carers UK, Reflex Fiction, Speculative 66, Paragraph Planet, Ad Hoc Fiction and FlashBack Fiction. I have also had non fiction pieces in the Guardian, and Caring Magazine, and I wrote regularly for two local newspapers. I am an avid fan of Twitter: two tweets have been used by Mslexia, and one was chosen for the Canadian edition of Reasons to Stay Alive by Matt Haig. I am currently working on a women's commercial fiction novel but am easily distracted by ideas for flash fiction stories. My goal for the retreat was to work on two key scenes in my novel. I'm really happy with the way they turned out and I went on to draft a flash fiction piece (you see, I can't keep away from it!). The retreat allowed me the time and space to write. Set in beautiful, spacious surroundings, I walked around the grounds twice a day and my mind felt clear and focussed when I sat at my desk overlooking the river. Having set mealtimes worked really well as it added structure to the day - no time for procrastination. And staying with a warm and welcoming group of ladies was so inspirational - I thoroughly enjoyed the times we came together to discuss work or socialise. I'm a freelance writer who has lived in such glamorous locations as London, New York, and Croydon! I currently live in Devon with my family. 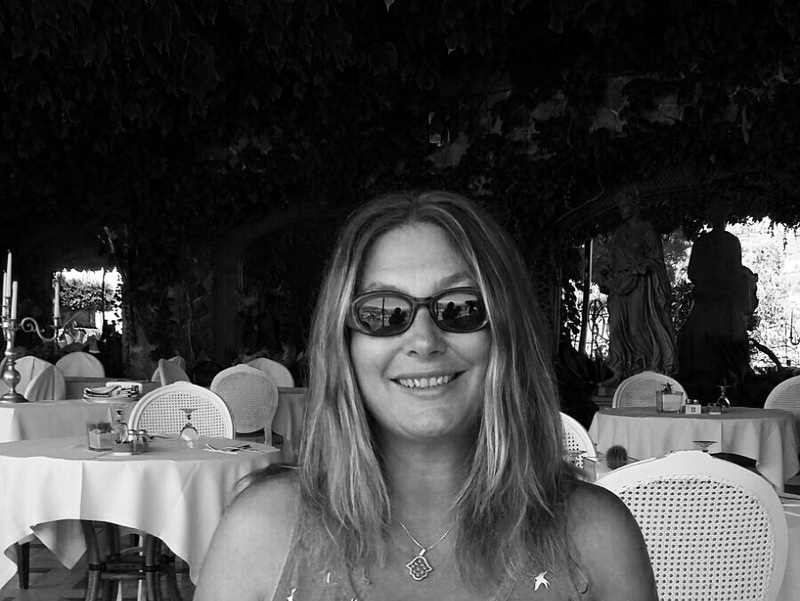 My career has spanned 3 decades working in PR and marketing within Europe and the USA. I currently work within healthcare management in the UK. 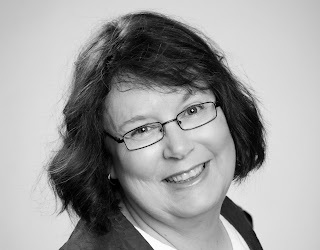 I write mystery thrillers with a splash of romance. My novel 'Forbidden Colours' was released in December 2016, and has been described as a 'contemporary high octane suspense thriller, worthy of Ron Howard turning it into a blockbuster movie'. Alongside novels, I write short stories. Over the last two years, my stories have been both short and longlisted in the following: Exeter, Screwturn Flash Fiction, Black Pear Press, Fiction Factory and the Finchley Literary Festival Short Story competitions. My short story 'Soaring' features in the Black Pear Press anthology 'On The Day of The Dead and Other Stories'. Greenacre Writers retreat was the perfect place for me to edit my current work in progress, a historical thriller set in 1912. My goal was to complete the first edit and get the first few pages as tight and ready for publication as I could. I am happy to say, unbelievably, I achieved both of these goals and am now sitting smugly patting myself on the back! There was so much I enjoyed about this retreat but the combination of the surroundings and my fellow writers were what made it so special. I'm deliberately not mentioning the snow! The surroundings - creatively beautiful, serene, inspiring. My fellow writers - supportive, creative, fun loving and all slightly wonky like me! Bridget Blankley spent most of her early life in Nigeria. She has an autism spectrum disorder (ASD) and has been an engineer, educator and fulltime carer. Bridget came late to writing and had her first piece of fiction published in her early fifties. 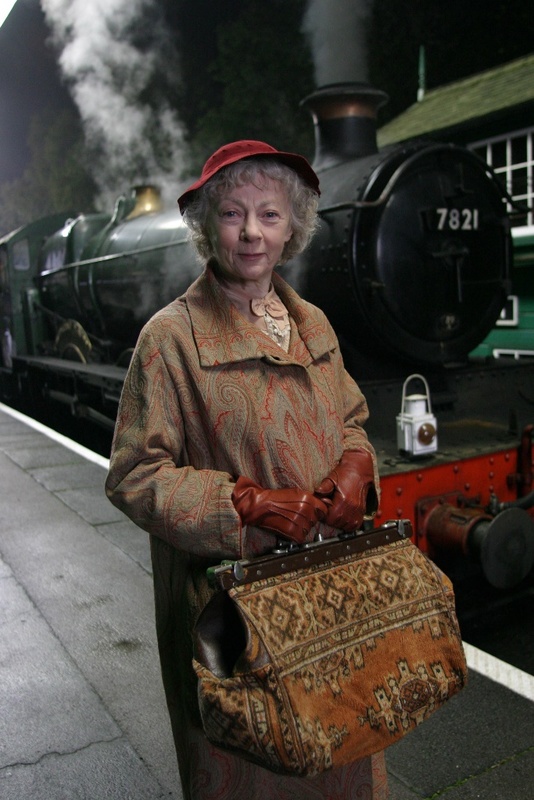 Her work swiftly won prizes, including the Winchester Writer's Competition, 'Writing Can Be Murder' 2013, and the Commonword Diversity Writing for Children Prize, 2016. In the same year she was runner-up in the Alpine Fellowship Writing. Her latest award is the Hammond House Short Story Prize. Bridget lives in Southampton, UK. The Ghosts & Jamal is an intriguing story, touching on religion, terrorism and Nigeria’s internal conflicts, following a young orphan who is negotiating an unforgiving society. Waking up in the aftermath of a terrorist attack, 14-year-old Jamal tries to piece together what has happened whilst simultaneously trying to evade capture by the attackers. It soon becomes clear that he has been living in a separate outhouse from his family on account of the “bad spirits” that plague him. As he wanders around his family’s compound, he comes across red canisters leaking yellow gas, which he works out were the weapon that killed his family, and he begins calling the gas “ghosts”. With his family dead, he begins to search for his grandfather who he hardly knows; when his grandfather turns him away he keeps walking. On his journey he passes out and is picked up by a patrolling soldier. He is taken to a hospital where he is treated for the “spirits”, or rather, his epilepsy. Jamal escapes and on doing so, he wanders bewildered around the city. On the way he meets prejudice, exploitation and friendship, before finally discovering that it is people, not ghosts, that have killed his family, and they have plans to keep on killing. 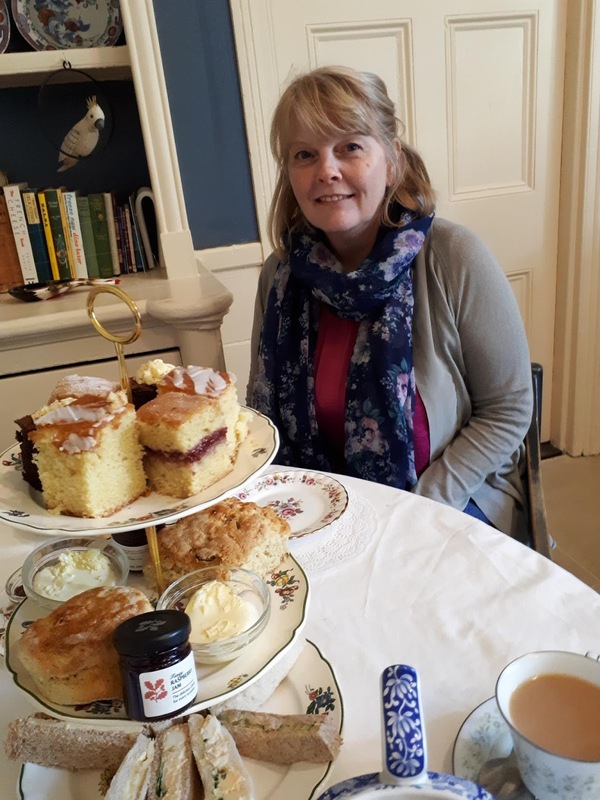 Greenacre Writers are delighted to feature The Ghosts and Jamal, and wish Bridget many congratulations on the publication of her first novel. I haven’t been writing for that long. I come from a family of story tellers, and story readers, but there has never been a reason to write anything down. My mother would make up stories for us at bedtime. Am ashamed to say that my siblings and I didn’t like her to read to us as she didn’t ‘do the voices’ like my father did. But she could make up stories and we enjoyed them. So, when I had children, I would sometimes read to them and sometimes make up stories. Once the children grew up I didn’t think much about stories until I left work to become a carer. Then, when I was looking around for something to do while I was at home, I saw an evening class in Creative Writing and signed up. I enjoyed it. I wasn’t convinced that I was very good, I wasn’t interested in many of the topics that we were asked to write about, but it was relaxing. I began to think that maybe I could write stories for my grandsons as I didn’t see them often enough to read to them. Unfortunately, it turns out that I’m better at adult and young adult fiction, but I guess they’ll grow into it. I’ve enjoyed making up stories and I’ve been lucky enough to win a few awards for my writing, so I guess I have an excuse to keep doing it, at least for a while. I think I’ll reverse this question and answer the easy part first. What do I like most about being a writer? That’s easy, it gives me the excuse to say ‘go away I’m reading’ to anyone who wants me to do almost anything. What other job has a requirement that you buy, and read lots of good books? There is also the fact that there is very little pressure. If you start a story and find you’ve hit a brick wall, then you can just stop and write something else. No one is looking over your shoulder insisting that you get a report finished or an audit completed. Although there are disadvantages, but not many, so I think that I’ll stick to saying how lucky I am to be able to write. As to the other part of your question, I’m not sure. Do writers really have a role in society? Maybe if I wrote serious analysis of current affairs, or if my books had an important political message or a warning about possible dystopian futures then maybe I could claim to be usefully employed. But I don’t my work is entertainment and adventure. Stories of people doing their best in difficult situations and, sometimes, finding their way out the other side. Thought I guess as reading is never a waste of time, then someone has to do the writing and I feel lucky to be able to fill that role. Have you ever created a character who you dislike, but find yourself empathising with them? I wrote a short piece of writing for a competition a couple of years ago, 'Eyes in the Park'. It was narrated by an unnamed murderer. Quite different to the sort of thing I normally write. I can’t say that I empathised with the character. They were thoroughly unpleasant, but it was very enjoyable to write. I found I wrote it piece very quickly, following the protagonist’s thoughts, often speaking them aloud as a wrote – not something I usually do when I’m writing. Looking back, I wonder if saying, rather than thinking, what the character said helped me to keep my distance. I was almost as if I was listening to what someone else was saying rather than saying it myself. Maybe I’m reading to much into this I don’t know. But in general, I think you have to be able to connect with the characters you are creating. Even if you are creating a character that you want your readers to despise. Perhaps I should try writing about a few more murderers to see if the same thing happens. What is your experience of writing about diverse characters? I cannot say that I look to specifically write about diverse characters. I just try to write about the characters that particular stories need. That sounds a bit pretentious, let me try to explain myself a little better. I wrote a short story recently. It was about two sisters. I wrote it after I was shown a newspaper article about a pair of slippers that had been found in the charity shop. They were trying to find the owner – I can’t remember why. I remember thinking that I would know if it was my sister’s shoes, because her feet were different sizes, then I thought about the other people who we met when my sister was in hospital. One thing led to another and the story just developed. It became a about Osteogenesis Imperfecta, not deliberately, but because that fitted in with the narrative. Similarly, when I wrote The Ghosts and Jamal, I didn’t set out to write a story about a child with Epilepsy, but I needed a reason for Jamal to be isolated from his family, and I needed an explanation for the way he saw the world. I spoke to a family friend who had been a nurse in West Africa and Epilepsy fitted with the needs of the story. I was once lucky enough to have tea with Mary Hoffman, author of Amazing Grace, she put it very well when she said, just write the stories you need to and the right characters will present themselves to you. Again, this is a tricky question to answer. Firstly, because I have had most success writing in the living room of my mother’s flat in Southampton, so maybe I should stick to what I know, but also because it depends on what I am writing. I have a fondness for the north Norfolk coast. I love the big skies and wide horizons. I like the way the pines curl up against the wind and the enormous shorelines when the tide is out. So I guess if I could only have one place to write it would be in Norfolk, preferably in the winter. However, have been discussing a book that will be set in the Egyptian desert so it would be good to set my writing tent in Siwa for a while to get the feel for my heroine’s home. But I’m not sure I would want to stay there for too long, I tend to overheat these days. I’m afraid I’m going to hedge a little here. Because Anthony Marra wrote a book, A Constellation of Vital Phenomena, which is beautifully written and juxtapositions absolute horror with observations of the beautiful. I would love to be able to write like that, and I would recommend it to any aspiring novelists. But I would hate to have lived though the violence that inspired the novel. So maybe I’ll settle for The Piano Shop on the Left Bank by T E Carhart. It was Carhart’s first book and it is a beautifully written work. Gentle and evocative, and the result of getting slightly lost in Paris on a summer afternoon. So, on balance, and largely because of the life you must lead to write your book, I would love to have written Carhart’s book. You need to set yourself a target, 100 words a week or 1000 words a day, it doesn’t matter. What matters is that you stick to it so that you develop the habit of writing. The other piece of advice is to have more than one piece of writing on the go at the same time. I know that this doesn’t work for everyone, but I find that if I get stuck writing one story, you can ‘give your brain a rest’ and look at the other piece. The second piece doesn’t have to be another novel, it doesn’t even have to be very good, it just has to be something different so that you start to thing about words in a different way. At the moment I am working on a book about a rebellious Egyptian woman, being pulled between duty and freedom. The working title is Nesma Means Breath of Wind, I hope to have, at least the first draft of this ready for the Autumn. I’m also researching the next novel, which will be set in Ghana in the mid twentieth century. I have the idea set in my mind, but I need to spend more time talking to people who remember that time. It is another thing that I am really enjoying. I think that there might be a danger of spending too much time researching and not enough writing, but, for the time being at least, I’m OK. I haven’t overrun the time I’ve allowed for research yet. I like to remind myself to thing of the world as exciting rather than chaotic, when things are getting on top of me. 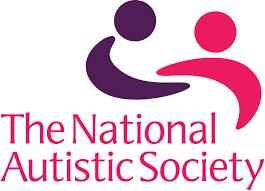 Bridget has Asperger’s syndrome and is proud to support the work of The National Autistic Society. In a faraway Welsh village, in which its stone cottages are as ancient as its trees, it rains every day in August. In its fairy-tale like world, in which everybody watches one another like owls preying at night, the Hopkins women live. A stone’s throw from a lake, Ty Aderyn – a bird house- has been divided into two cottages and stands as long as the living memory itself. In one resides Violet, and her teenage daughter Cadi and in the other Lilwen, and her magical garden. What could have gone amiss between the women? Lilwen, a spinster, a woman who understands the language of herbs and flowers, is known for her witch-like reputation. Her English sister-in-law, Violet, was a grieving widow who found herself expecting Cadi in the aftermath of her husband’s death. A month beforehand Lilwen’s only sibling, crashed his car, their infant daughter Dora was drowned in the lake. It's the same lake that has been calling Cadi to get closer to it over the years despite Violet’s warnings. In an idyllic setting Carol Lovekin, spins the tale of Blodeuwedd with a contemporary touch. In the mythic tale, the wife of Lleu Llaw Gyffes is turned into an owl after a failed plot with Gronw Pebr’s to kill her husband. Whilst she retains her name, her presence is hated by the other birds and she became unable to show her face during the daylight. In Lovekin’s hand the legend comes as a story of loss and love, grievance and hope in her evocative narrations. Lovekin, who has Irish blood but is Welsh at heart, suffuses her debut novel with lyrical but visceral depictions that capture the lives of her protagonists. The frustrated Cadi has enough of the maddening silence between Violet and Lilwen. Gossipers Mrs Bevans and Mrs Guto-Evans, react to the return of Owen Penry, who Violet had a fling with fourteen years previously, stir the brew of simmering anger and self-hate. The wafting smell of doubts and home truths spew in the warm air after the rains. 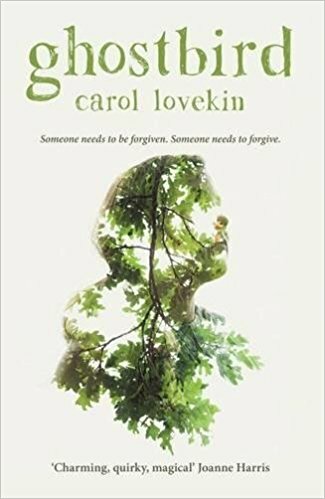 Lovekin showcases her sensitivity about affliction by threading the uncharted waters of forgiving and forgiveness through the outstanding metaphors. From the time Cadi bumps into Penry in the churchyard, little does she realise that the lid of a jar containing a must-not-be-spoken memory has been unscrewed. Born to a mother who won’t smile, she determines to find out about what happened and all the while the call of the lake grows louder in her ears. Lovekin’s way of revealing moments of veracity are simple but effective; her dialogues thoughtful but poignant. I’ve had to make up my own story because I haven’t known any better. But it’s never been the truth; only their version of it. Cadi’s quest inevitably ruffles a few feathers in its wake; onfronting her indifferent mother and her eccentric aunt seems to make Lovekin’s lead character a very mature teenager. Moreover, Lilwen’s hosepipe-alike interventions to the mother and daughter’s fiendish verbal exchanges are somewhat comforting but unnecessary. As a result, the battle is petering out like the rain and the interesting sub-plots have a slight bland taste. Such as Violet and Lilwen’s fondness for each other, obscured by their opposing views, that remains mysterious in the penultimate ending. Lovekin has it right nevertheless with Violet’s raw emotions owing to her guilt and love whilst Cadi and Penry’s unlikely friendship that blossoms. By the same token, the use of italics that sprawls throughout the book takes time to adjust. For some readers, particularly the virgins in The Mabinogion folk tale, they can be quite confusing at times. On the one hand, the italics are used to generate thoughts of the main characters and on the other hand, they also serve as the voice of the ghost bird whose calls are bewitching Cadi. The ghost shivers in the rain. She shakes her feathers, trying them for size. An expanse of weightless sky entices her – she can go anywhere she chooses. She senses her talons, growing sharp and fine. The other birds see her now. Screeching their alarms they try to chase her away. The ghost flies into the cherry tree, waits until her sister falls asleep. Gliding through the mist she flies into Cadi’s dream. This succinct book is a treat. More pleasure can be discovered in a second reading which highlights the time to indulge in an array of rhyming prose. More importantly, Lovekin deserves a commendation in her painstaking interpretation of the daughter of Math and Gwydion, the flower-faced woman of oak, meadowsweet and broom for a 21st-century market. Thin veils may tremble as she passes, their fragile threads split, and she will step through. Thanks to Honno Welsh Women's Press for the review copy.